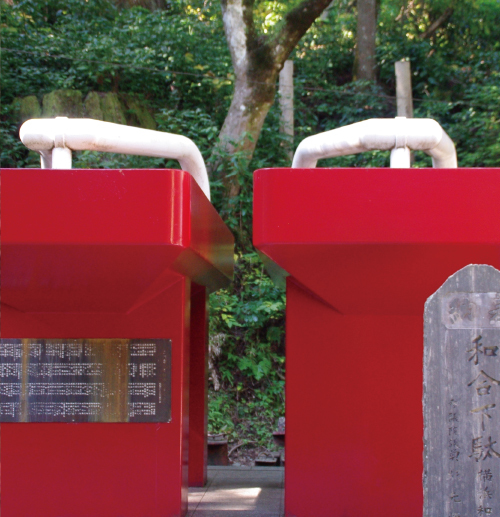 SAIJOJI is a Buddhist temple of the scale following Eihei-ji in Fukui-prefecture and Soji-ji in Tsurumi in Soto Zen Buddhism and it is called DOURYOSAN for Douryo who was a pupil with 500 manpower and contributed together with Ryoan-emyo-zenji to build the temple. 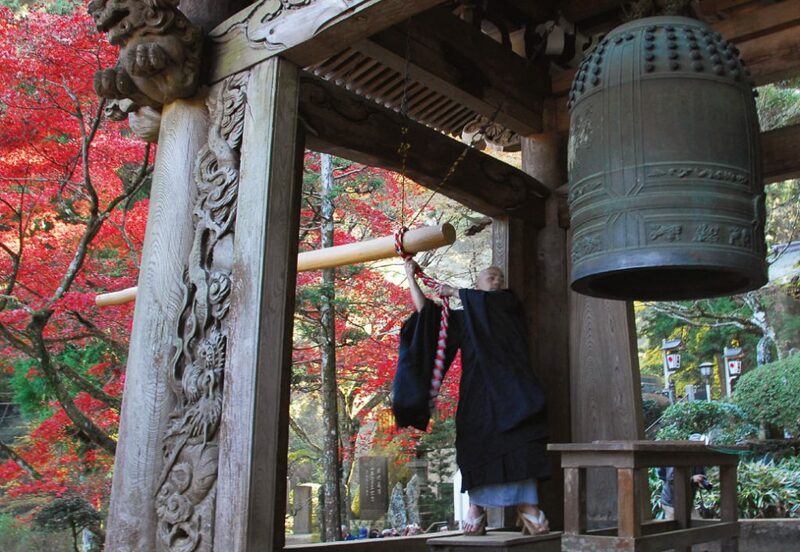 The vast inside of the temple site has abundant nature, and you can enjoy forest bathing and flowers through four seasons, such as cedar woods designated as a natural monument in Kanagawa prefecture, hydrangea in early summer, red colored leaves of trees in autumn, etc. Here and there various holy animals appear in SAIJOJI. Please look for them because they appear in the unexpected places. 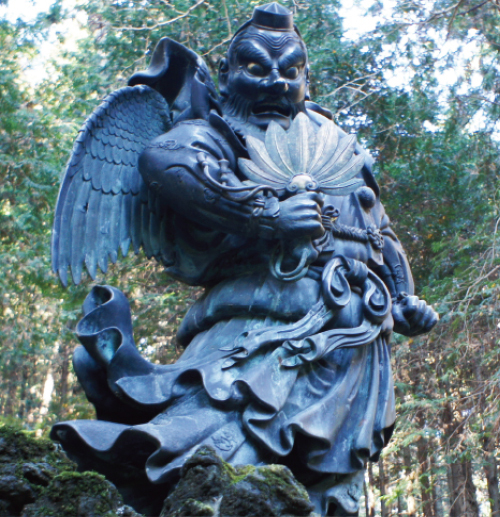 It is said that TENGU members in SAIJOJI protect the temple and rescue worshippers from pains and they are deified as guardian deities of the temple. 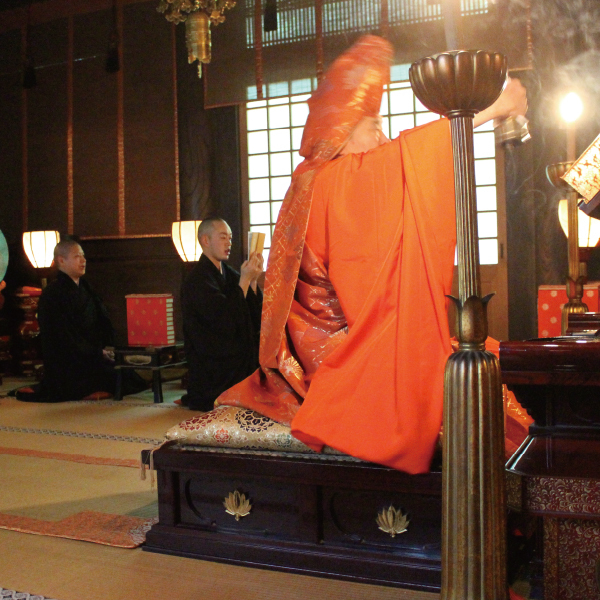 SAIJOJI has the history more than 600 years since the initial opening. There are more than 30 buildings surrounded by aged cedars. 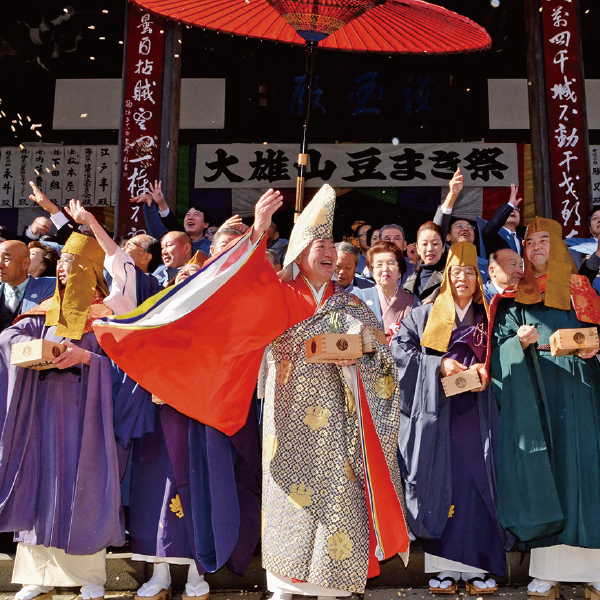 Various events are carried out throughout the year in SAIJOJI. 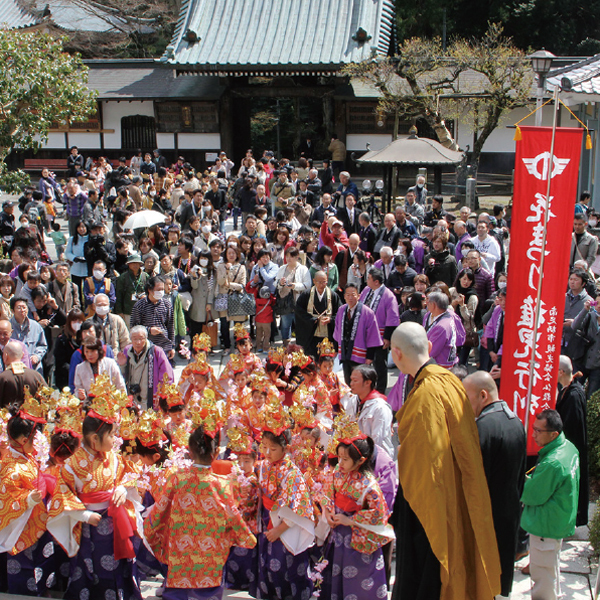 You can learn the history and culture of Japan by participating in events. 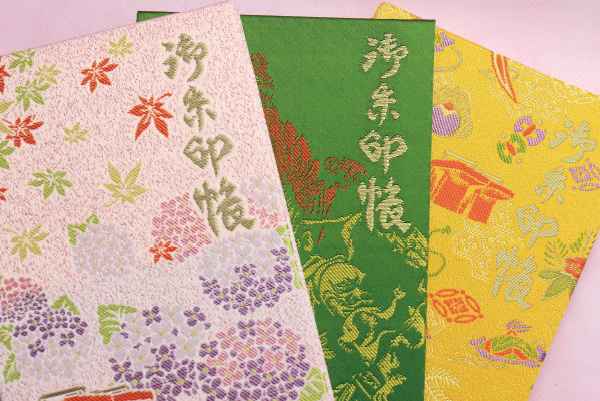 We will introduce events and experiences events throughout the year, in SAIJOJI. Bells on New Year's Eve, 31 DECEMBER. New year big prayer, 1 JANUARY. Statue of nose high TENGU with form of the itinerant Buddhist monk who has strong supernatural powers. Statue of TENGU with a bill like a crow. It is called an another name Crow-billed TENGU. Ko-TENGU can fly freely with the body covered by a face with a bill and a black feather like a crow. 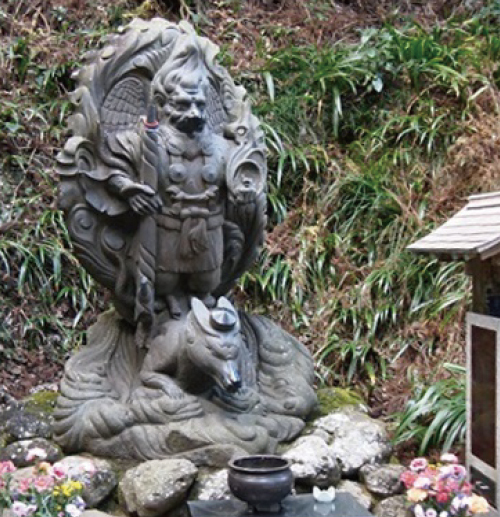 Stone statue which models the legend of TENGU. 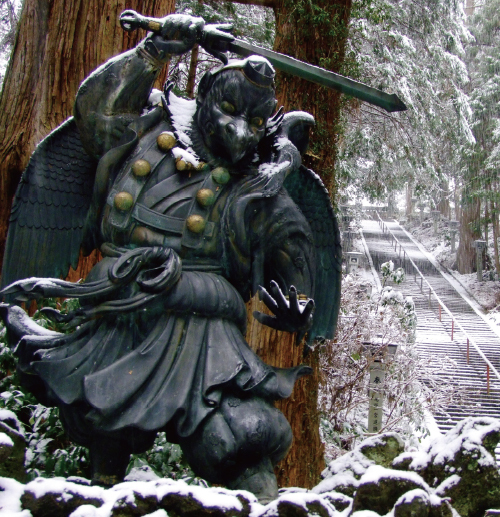 When Ryoan-emyo-zenji, the master of DOURYOSAN, passed away at 75 years old, DOURYOSAN changed into TENGU and flew away into deep mountains to protect the temple forever and rescue worshippers from pains. Since then DOURYOSAN is deified as the palladium of the temple. 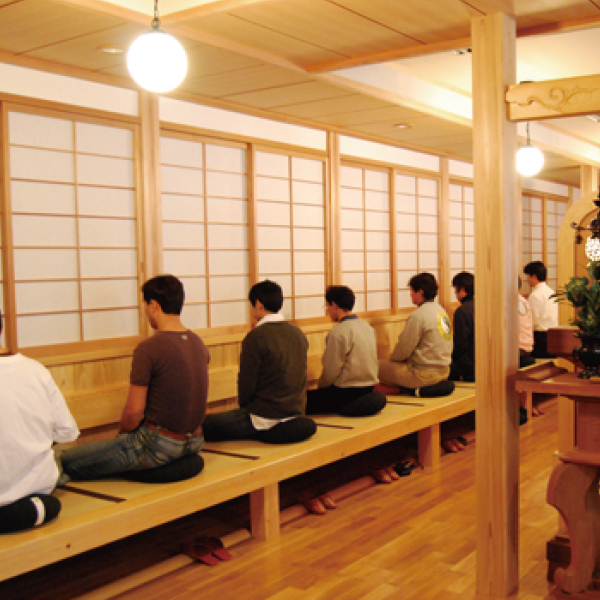 Role of Japanese wooden clogs is accomplished by set of left-and-right pair and it is said that it connects with conjugal harmony. TENGU Geta charm, TENGU T-shirt, Red Seal Book, etc can be also purchased through the SAIJOJI online shop. ※ Please note that oversea shipment is not accepted. 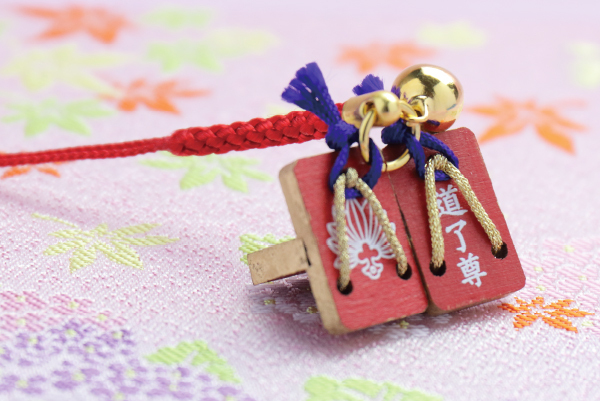 A charm of the TENGU Geta (Japanese wooden clogs) with a strap which bring matrimonial happiness for the married couple. Very popular goods. A charm T-shirt for putting on. 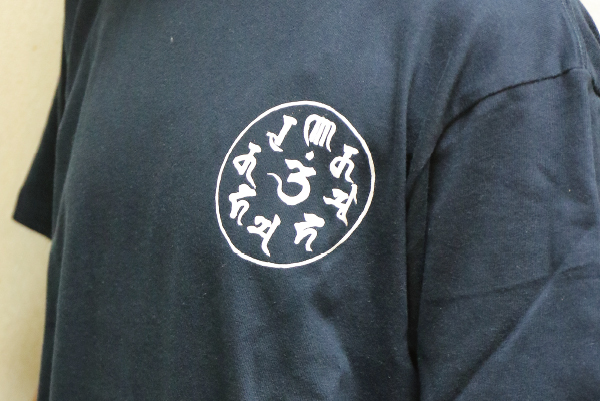 "Sanskrit characters" on the breast and a mark of TENGU leaf on the back are printed.